Bowen & Bowen customers and consumers are advised not to purchase Crystal Water 5-Gallon bottles without the Crystal branded tamper evident shrink sleeve intact. 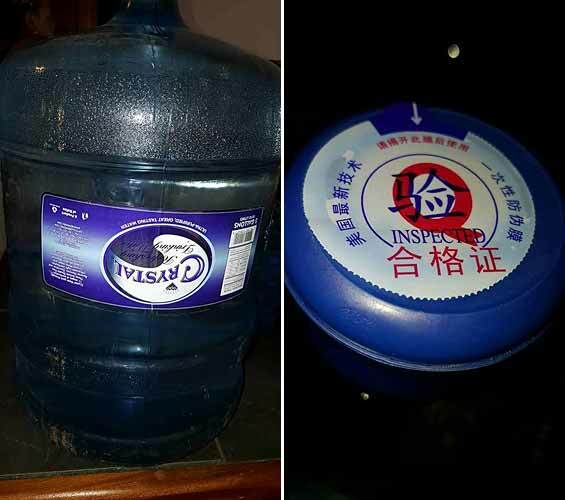 There have been several reports of illicit refilling of Crystal Water 5-Gallon bottles with inferior quality water. Please be aware and vigilant to not be fooled by imitation water. To safeguard our customers and consumers and help ensure you are getting the Crystal Water you want and paid for, Bowen & Bowen Crystal Water 5-Gallon bottles have several safety measures as part of our standard packaging. Please be sure to check for these before purchasing and opening a Crystal Water 5-gallon bottle.